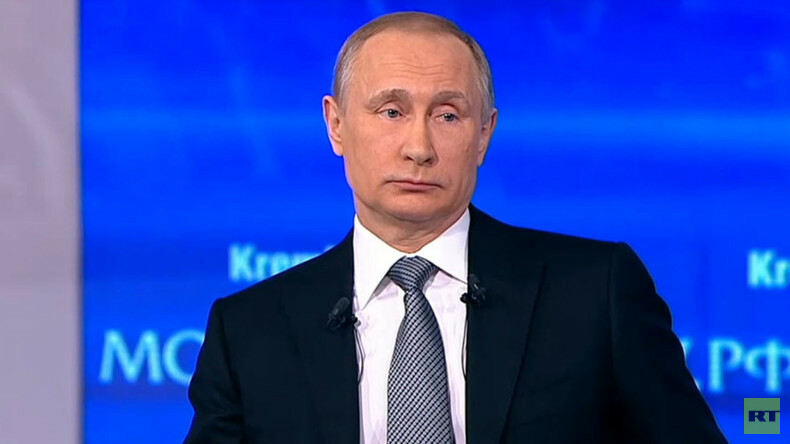 Russian President Vladimir Putin has held his lengthy, annual and live Q&A session. Some two million questions for the president have been submitted. Putin’s Q&A session has been completed. It has lasted 3 hours and 39 minutes. The president answered some 80 questions. Vladimir Putin believes it’s too early to speak about the Russian presidential elections of 2018. The demand for Russian arms has grown sharply following the operation in Syria, Putin said, adding that Moscow is likely to sign more arms contract with foreign partners. Combat usage of Russian weapons exposed certain deficiencies and shortfalls, some of which were fixed by specialists assigned from arms producers in Syria. Some repairs continue right now, Putin said. Putin has warned that the sensitive issue of Nagorno-Karabakh conflict should be dealt with extremely carefully. The main principle is not to cause harm. “Russia needs a stable and prosperous Ukraine. We’re interested in Ukraine getting up on its feet,” Putin said, adding that he “thinks nothing” about the new Ukrainian government appointed today. “What could I think? I don’t know it, its composition, priorities and plans,” Putin said. Putin accused Kiev of not fulfilling its obligations under the Minsk Accords, including the pending changes to the Ukrainian Constitution. “We cannot do that, anyway,” he said. The West should maintain proactive relations with Kiev authorities to enforce the implementation of Minsk Accords and avoid performing “same old song and dance,” Putin said. He said that the crisis in Ukraine was artificial and said that the same oligarchs remain in power there.